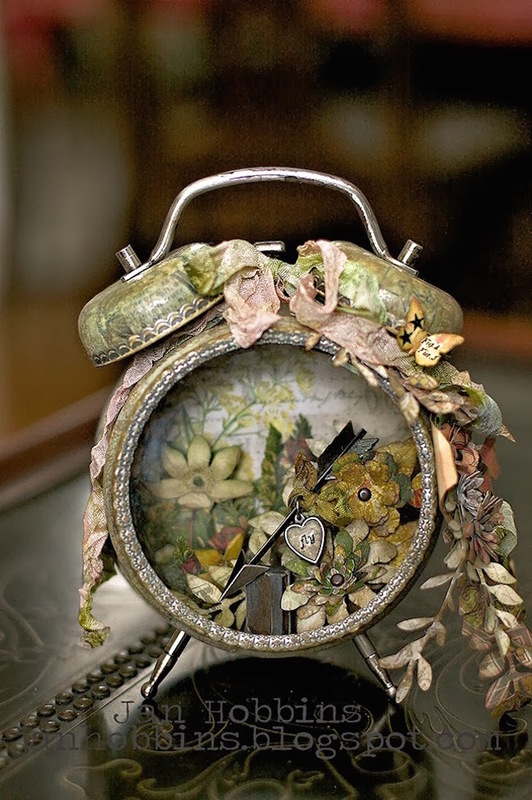 When it comes to alarm clocks, most people can probably admit to owning a digital one (or none at all, because they just use their smartphones). 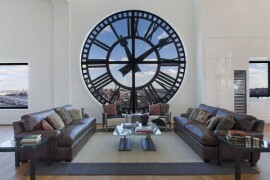 But a digital clock can never compare to the allure of a beautifully designed analog clock. 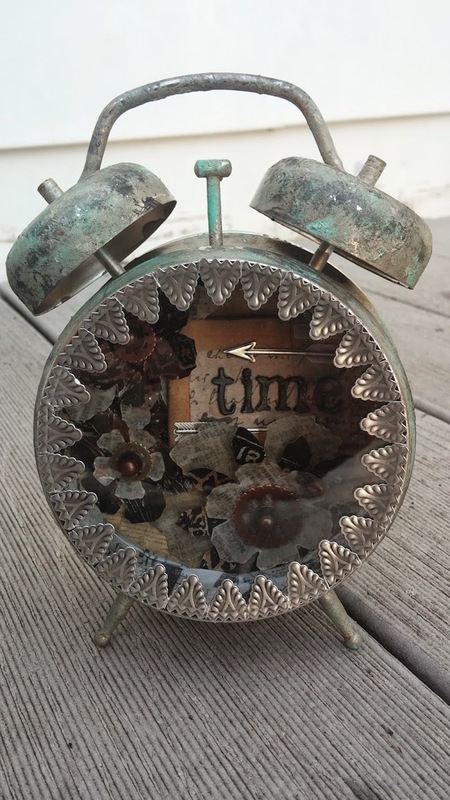 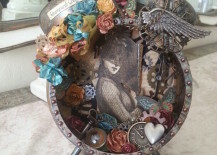 There’s been a bit of a trend in and around the crafting/scrapbooking corner of the web with taking a Tim Holtz clock and turning it into a work of art. 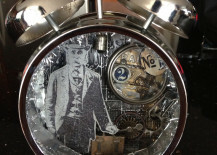 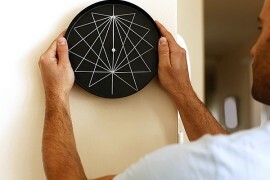 This clock doesn’t have any guts, and it’s up to you to decorate its insides (and its outside part too). 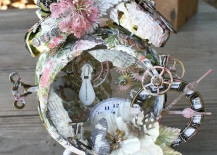 Here are some of the magnificent creations that crafty DIYers have been able to come up with! 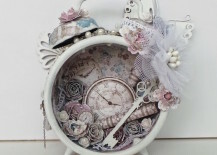 The Prettiest Clocks You’ve Ever Seen! 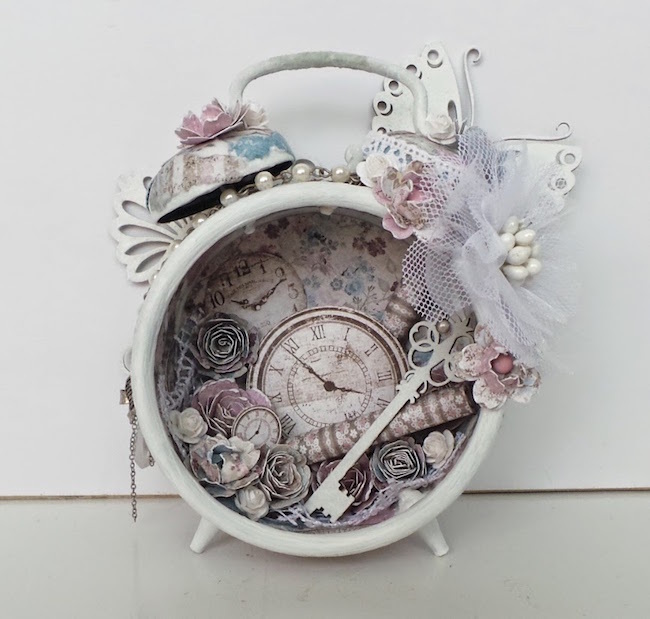 So, the idea with making these altered clocks is to get out all your craft supplies and use anything you can think of to dress this clock up to look like something you wouldn’t ever really expect. 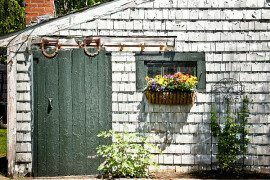 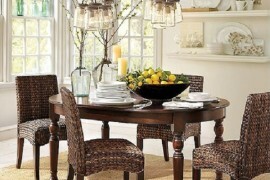 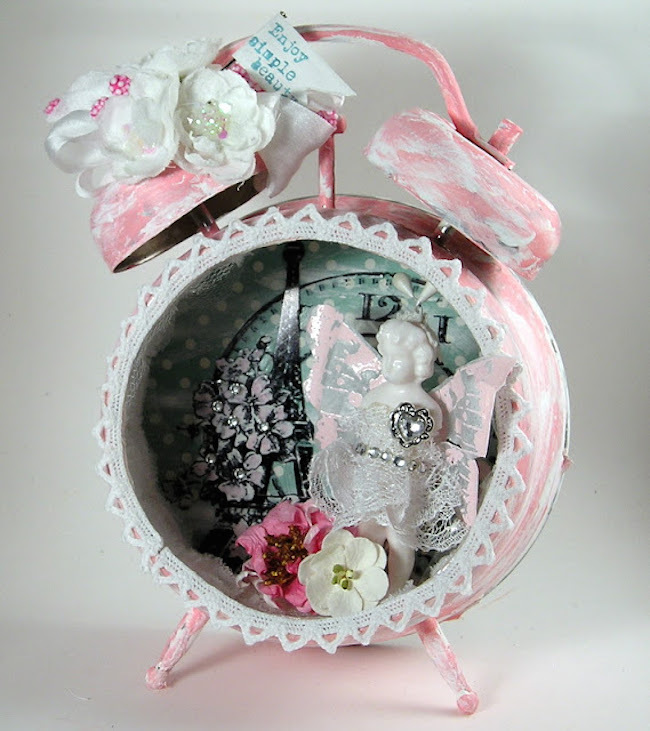 There’s paint, beads, lace, paper, ribbon, artificial flowers, and so much more to use here. 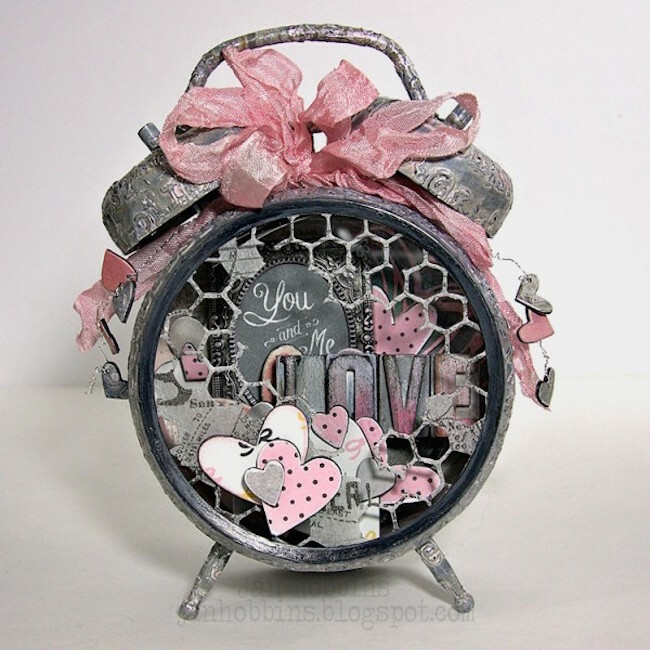 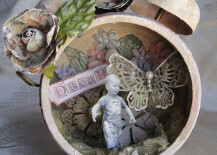 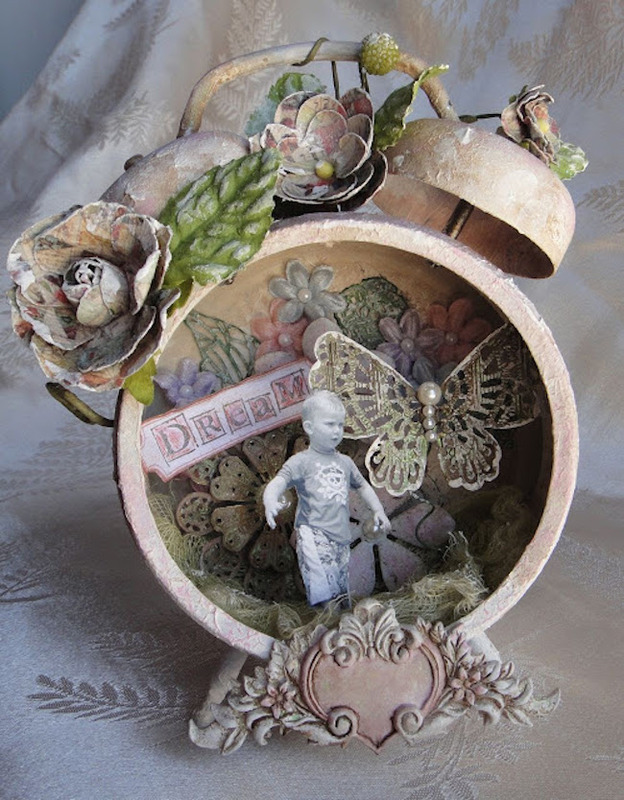 These first three examples are from Ingrid Gooyer, Sizzix, and Suzz Stamping Spot. 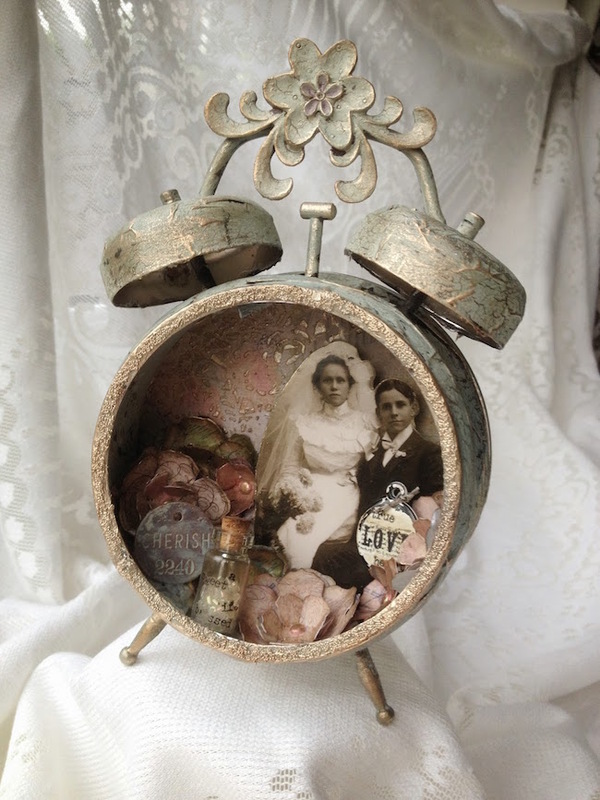 One very unique approach to this type of craft involves taking cutouts of old photographs and using the clock to sort of frame them, like this great example from Scraps of Brilliance. 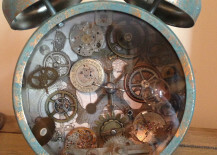 Some folks really go all out with the decorations on the outer parts of their clock too. 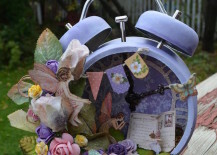 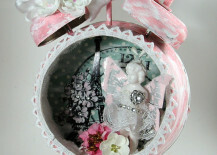 Check out the flowers on this fairy-themed clock posted by Pinterest user Sherry Walker, and this other one featured on Scrapbook.com that has gadget pieces extending out from its center. 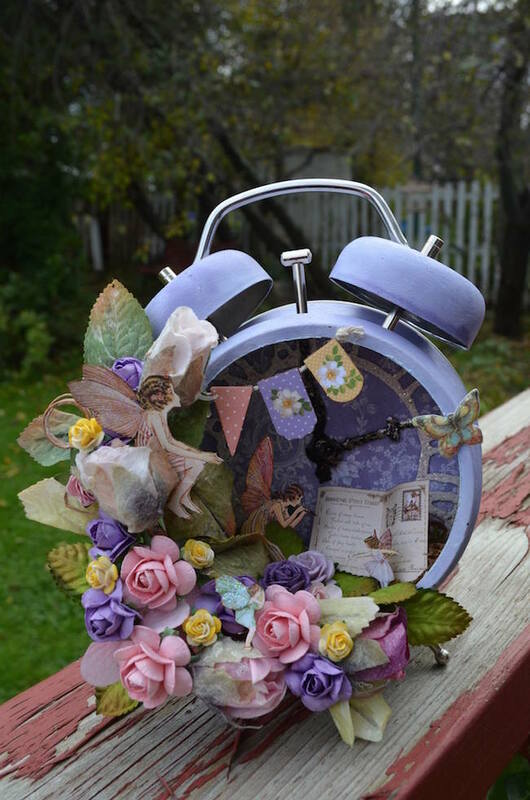 An altered clock project gives you the opportunity to come up with a theme, pick a color scheme, and truly make your clock as unique as imaginatively possible. 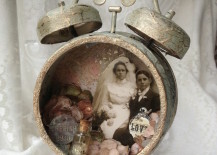 Here’s a great example of a vintage wedding theme from A Love to Create. 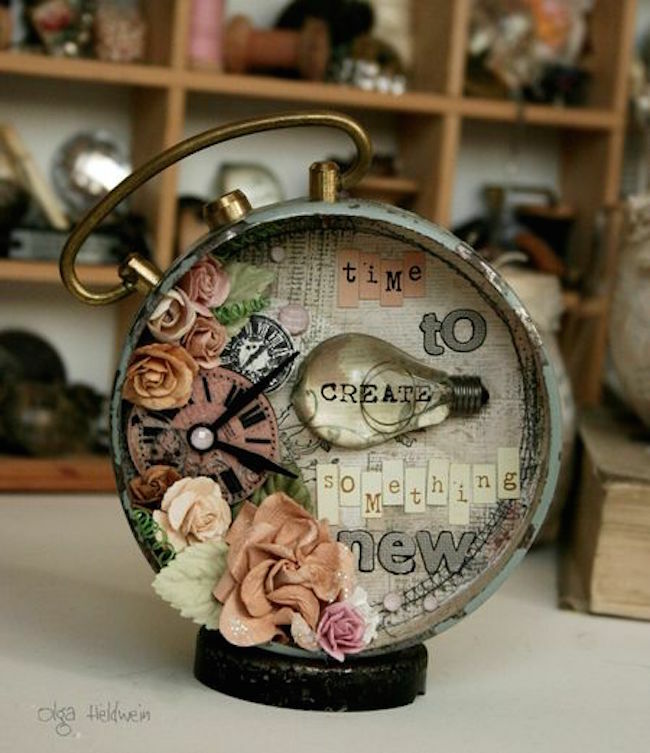 Pinterest user Char Gibson shared this altered clock that gorgeously emphasizes a steampunk style and adds pops of color with flowers. 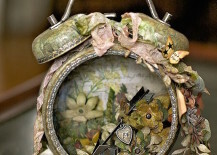 Jan Hobbins created an altered clock that looks like it came from an enchanted forest, even featuring a little arrow resting among the flowers in the center. 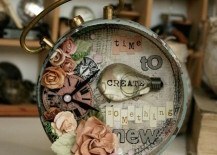 Most of the clocks we’ve looked at have a strong feminine style to them, as made pretty obvious from all those flowers and ribbons, but that doesn’t mean you can’t create a cool-looking clock that’s a little more manly! 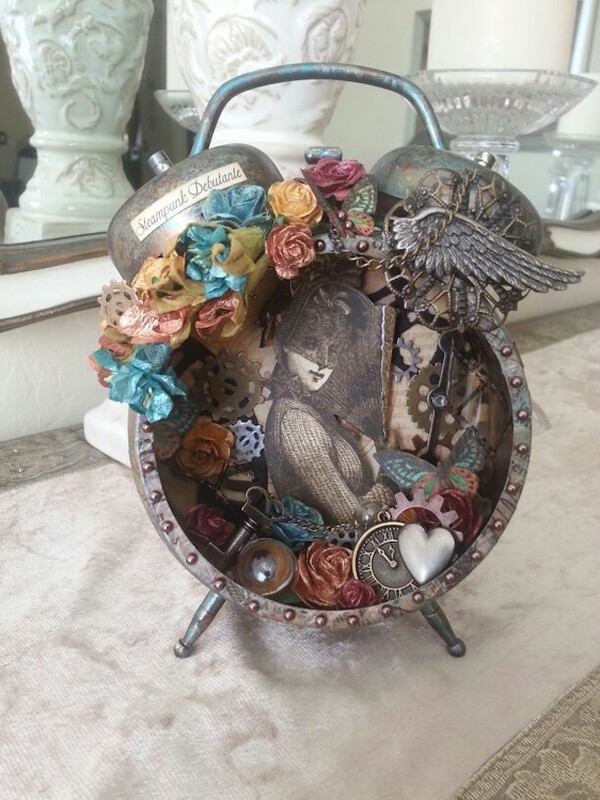 Check out this flower-free vintage example, originally posted by Pinterest use Nicole Wright Designs. 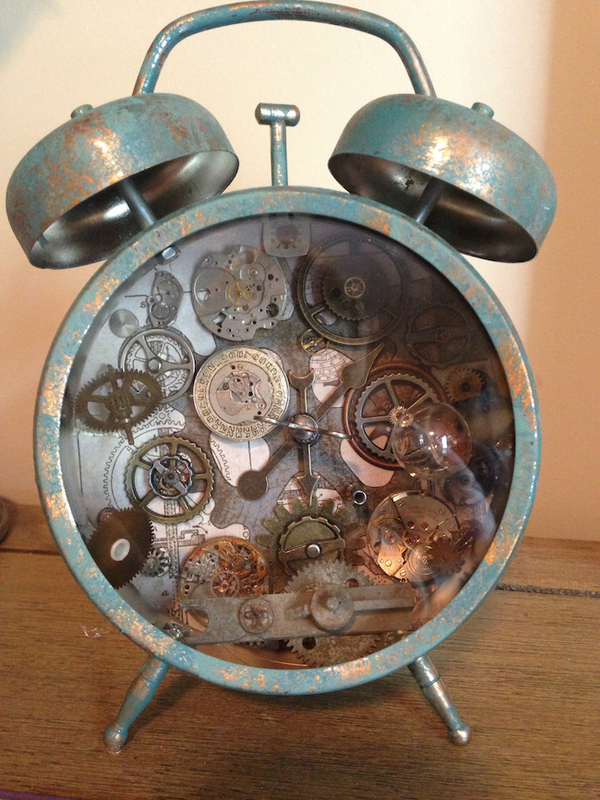 Another good way to keep an altered clock looking more masculine is by going all out with gears and gadgets, like this one that was posted by Pinterest user Fiona Hocking. 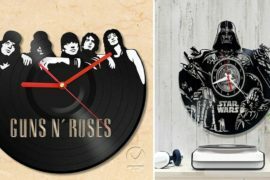 And hey, who said flowers are just for girly things? 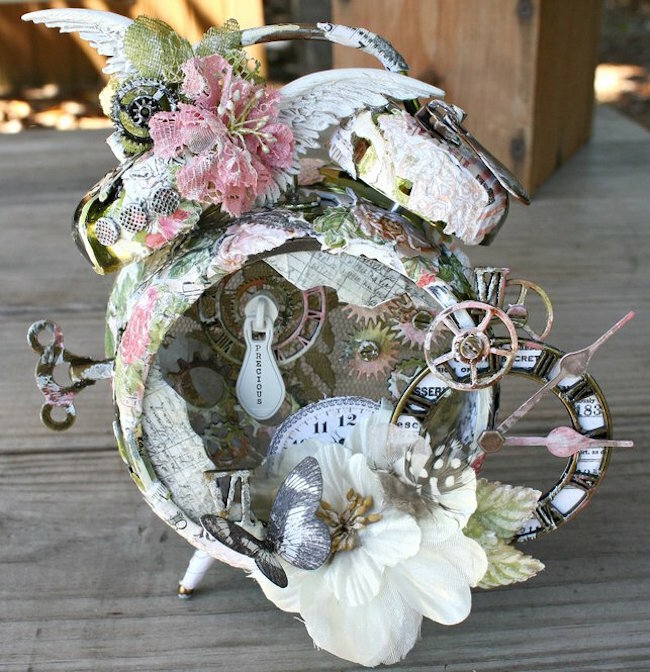 Starr Gazer Creates showed us an altered clock that incorporates a few steampunk-inspired flowers in the center to really fit with that industrial look. 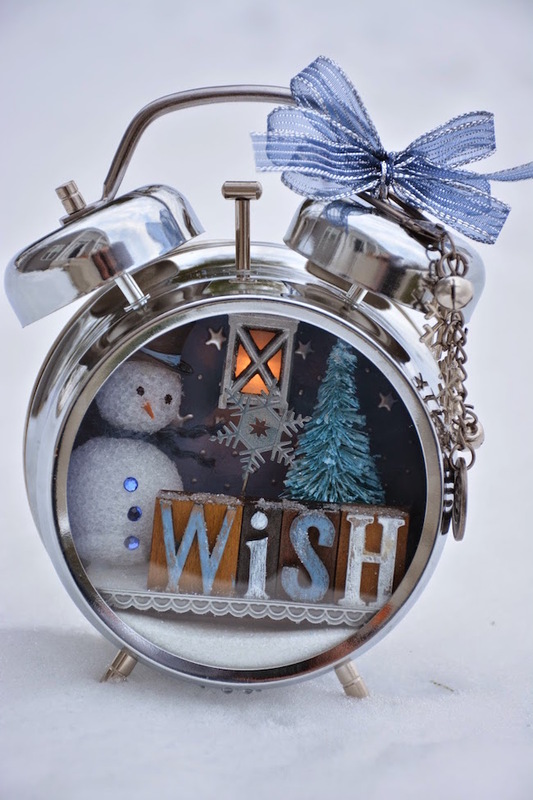 This type of project is so versatile, and the best part is that you can make clocks that fit with your seasonal decor too! 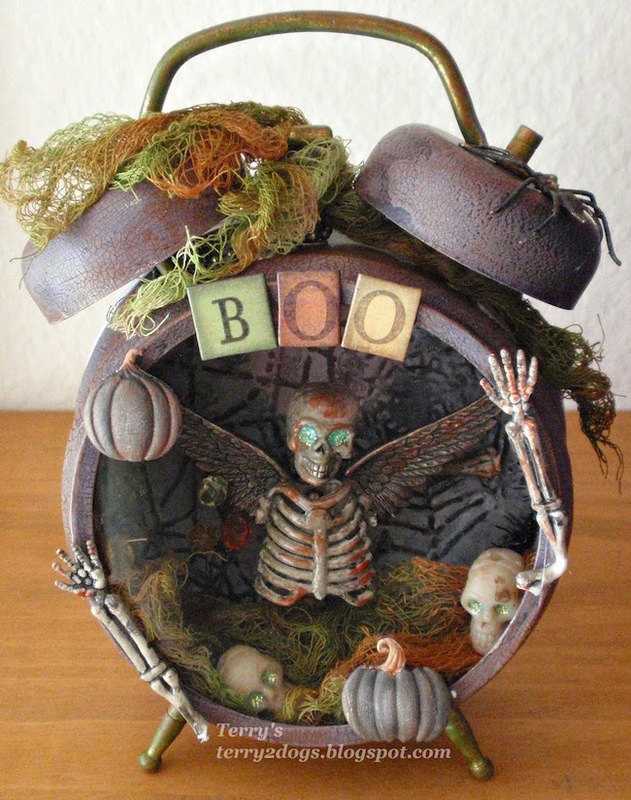 Try a Halloween-inspired clock like this one from Terry 2 Dogs to put in your home in October, or get festive with a holiday-themed clock like this example from Journey Awakens the Soul. 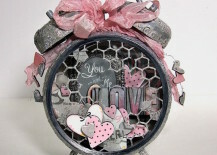 Pretty cool DIY idea, right? 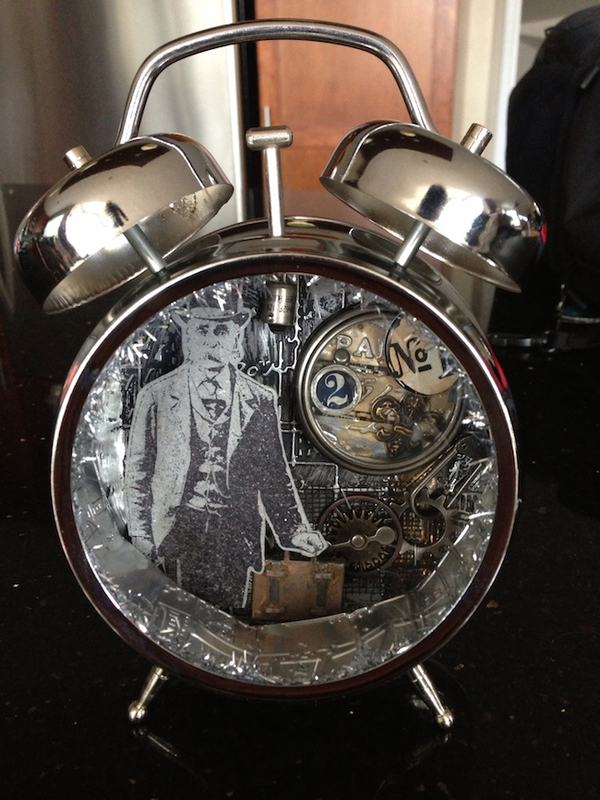 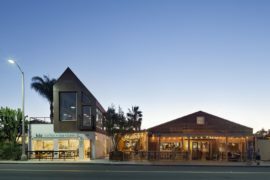 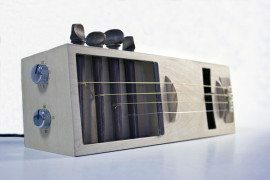 There’s no telling what you can or can’t create with a project like this and an imagination like your own.